Reality Lenses: Is gold topping? A strange phenomenon has been happening lately: not only everybody is bullish on gold, but gold is not making new highs in USD terms. This is a symptom of the deflation in the US, that people are confusing with high inflation (the "why?" question remains to be answered). 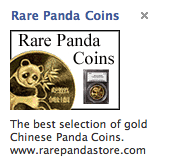 2- Adverts for gold coins on Facebook? Isn't Facebook the ultimate mainstream media? Dont confuse the panda thing. It sais "rear" they will over bill you for sure. 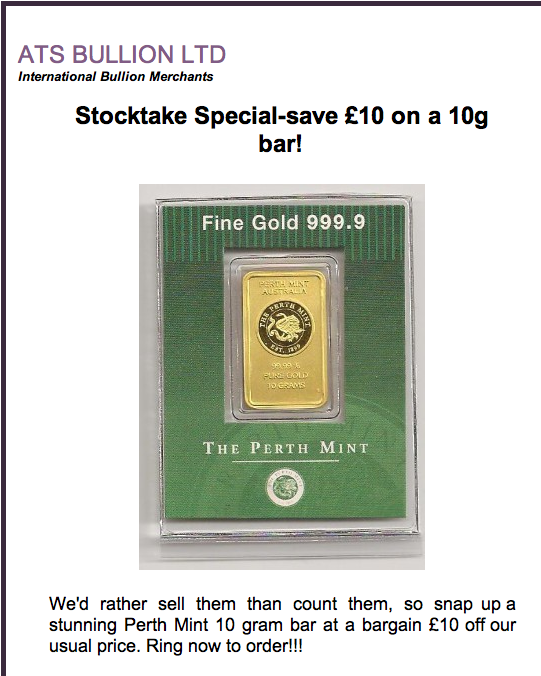 About discount gold - go for it if price is right. but dont forget prices are usually 20-30 % over the spot.